“As you all know, many times the states are the laboratories of democracy. 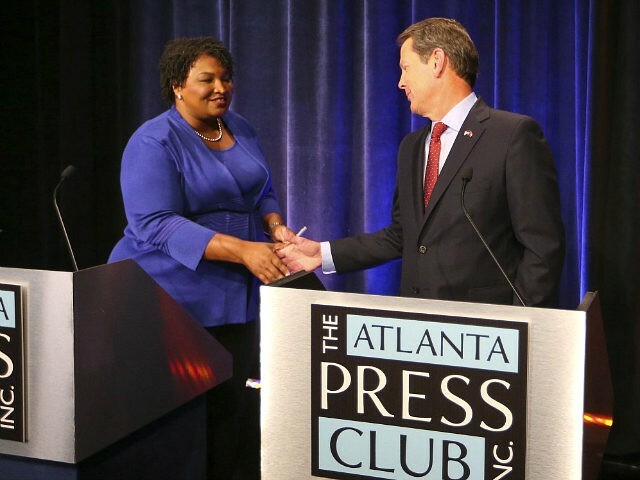 And the president needs some help at the state level from time to time, so I want to encourage you all to get out and vote on Tuesday,” Kemp told the raucous crowd. Abrams is under fire after a group of armed Black Panthers rallied in support of the far-left Democrat in Atlanta Saturday. Photos of the radicals are making the rounds on social media and have drawn condemnation from Kemp, whose campaign press secretary Ryan Mahoney called on Abrams to denounce. 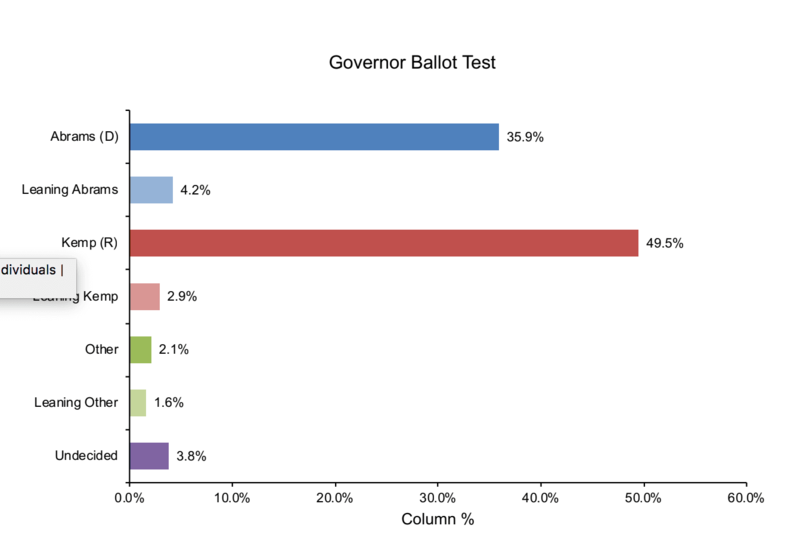 A newly released Trafalgar Group poll shows Kemp holds a commanding 12-point lead over Abrams with 2,200 likely voters.